This is a sensational live recording by Polish Jazz violinist/composer Zbigniew Seifert and his quartet, which includes American (resident in Germany) saxophonist Charlie Mariano, German pianist Wolfgang Dauner and Yugoslav (also resident in Germany) drummer Branislav Kovacev, accompanied by the NDR Big Band from Hamburg. The album comprises of five tracks, which are simply named "Hamaburg 1" to "Hamaburg 5". The discographical data, such as exact place and date of recording and composition credits are omitted and the album looks and feels like a bootleg, although it is openly sold in Poland. This music was recorded about a year before Seifert's untimely death as a victim of cancer. In spite of his terrible sufferings and ordeals related to his rapidly advancing illness, he was at an absolute peak of his musical ability, as this recording plainly demonstrates. He plays vigorously and with incredible passion, and his lengthy solos on this album are among his best ever. Supported by the wonderful quartet and accompanied by the best European Big Band, Seifert is able to immerse himself completely in the music, without any limitations. The result reflects his great love of life and music, which he tried to pursue until the very last moments of his life. Of course Mariano, Dauner and Kovacev, who were among the finest musicians on the European scene at the time, as well as the outstanding NDR Big Band, are all performing splendidly as well. Stylistically the music includes many elements of Jazz-Rock Fusion and World Music influences, an amalgam that characterized Seifert's late period. However, his solos are still characterized by the influence of John Coltrane's legacy, which was the singular most important inspiration on Seifert's music. The historic importance of this album is simply invaluable, especially in view of the sadly very limited recorded legacy of Seifert's works. Seifert managed to record only four albums as a leader during his tragically short lifetime, and the posthumously released material is of secondary importance so far. 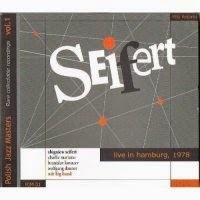 There are many hours of unreleased music recorded by Seifert waiting to be released, and hopefully those will see the light of day at some stage. For Polish Jazz fans this album is an absolute must of course, but listeners interested in Jazz violin and anybody who is able to appreciate some of the most moving moments offered within the Jazz idiom should also try to get their hands on this gem ASAP. Absolutely brilliant stuff! 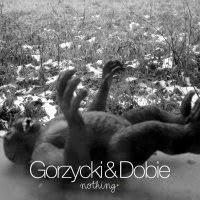 Duet Rafała Gorzyckiego i londyńskiego gitarzysty Jonathana Dobie'ego - "Nothing" to ostatnia, trzecia część tryptyku duetów Gorzyckiego. Po albumie z 2013 roku ze skrzypkiem Sebastianem Gruchotem - "Experimental Psychology" oraz "Therapy", nagranego live w 2012 roku także z gitarzysta Kamilem Paterem, przyszedł czas na finał. Premiera albumu 28.02.2015 na Jazz Od Nowa Festival w Toruniu. Rafał Gorzycki jest zaliczany do najważniejszych, najbardziej twórczych muzyków jazzowych, kompozytorów i perkusistów w Polsce oraz Europie. Współtworzone przez Gorzyckiego zespoły Sing Sing Penelope, Ecstasy Project i Dziki Jazz A-kineton to jedne z najważniejszych muzycznych składów ostatniej dekady, które przyczyniły się do zmiany pokoleniowej w polskim jazzie. Rafał Gorzycki konsekwentnie promuje kraj, występując na scenach i festiwalach całej Europy, Azji i USA, wydając swoje autorskie albumy wyróżniane przez media w Europie i USA. Jest on także laureatem wielu nagród i wyróżnień artystycznych, m.in. Stypendium Ministra Kultury, Nagroda Artystyczna Prezydenta Bydgoszczy, Fryderyki 2010 - Nominacja i wiele innych. Jonathan Dobie - Urodził się w 1956 roku w Londynie, gdzie mieszka w czasie kiedy nie podróżuje i nie koncertuje w Europie. Jest laureatem kilku brytyjskich nagród artystycznych, w tym ufundowanej przez British Council. Udziela się w wielu projektach muzycznych: Trio Peter Brotzman with Shoi Hano, B-shops for the Poor, Sonicphonics, Interference 3.0, Dynamix i wiele innych. 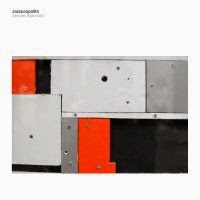 This is the debut album by Polish group Jazzpospolita, which consists of guitarist Michał Przerwa-Tetmajer, keyboardist Michał Załęski, bassist Stefan Nowakowski and drummer Wojtek Oleksiak. The album presents nine original compositions (ten tracks with one tune repeated as a remix), all assumedly co-composed by all four band members. As it sometimes happens, I listened to this album after being already familiar with the band's later work, therefore I can only imagine what my reaction would have been if I listened to it at the time of its release a few years earlier. Speculations aside, it still is a pretty amazing piece of music and a stunning debut. Arriving on such a busy scene as the Polish Jazz and alternative Rock with a spectacular, fresh and innovative album, which is completely different from almost anything that is already there, is truly remarkable. This album defines the musical "language", which the group follows since its inception, which is quite difficult to define verbally. It is a mixture of melodic Ambient Music with Jazz improvisations, Rock rhythmic patterns and alternative Rock sonorities, which sounds simply different from anything else. For people desperately in need of known references from the past, it is somewhat comparable to the music released on the legendary "Buddha Bar" series, with many of the Chill-out and Lounge elements present but with the World Music references replaced by Jazzier vibes. Regardless of the similarities, which might serve as points of reference, this music is fresh, exciting and sophisticated, which by itself is already quite rare. Combined with delicate melodic themes and first-class execution this album is by all means a very important step on the local music scene, proving that excellent music can be accessible to a large population of listeners, without even a hint of compromise and selling out. In the last few days I have listened to this album repeatedly and I'm pretty sure it's there to stay on my short playlist for a while. Anybody not familiar with Jazzpospolita should definitely seek this little gem out ASAP and follow with their later albums. As far as I am concerned there is absolutely no "almost" involved herein; Splendid indeed! 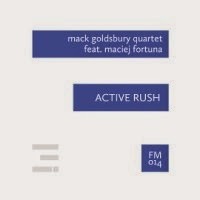 This album presents a collection of six live and one studio recordings by the American Jazz quartet led by saxophonist Mack Goldsbury and including guitarist Shaun Mahoney, bassist Erik Unsworth and drummer Ricky Malichi, which also features as a guest soloist the excellent Polish Jazz trumpeter Maciej Fortuna. This quintet recorded and released a couple of albums earlier on. The album presents seven original compositions, five by Mahoney and one each by Goldsbury and Fortuna. I have never managed to figure out why Fortuna plays with this quartet, which is an epitome of American mainstream, devoid of any ambition or interest. He is by far a much more talented and skillful player than any of his partners herein and the music he plays with his own ensembles is infinitely more interesting and far-reaching. However, since this is his choice, we should respect it and decide if we want to listen to it or not. Of course American mainstream spiced up by a brilliant trumpeter can not be all that bad and many Jazz listeners can enjoy this music in full. These are decent tunes and the playing is professional and vigorous, so there is plenty to like if you are into that kind of Jazz. Personally I'd rather wait for the next "proper" recording by Fortuna. Few weeks ago I walked by one of the main streets of my beloved Warsaw and was encompassed by usual in this city clamour, uproar and noise. Everything around me was rushing forward with people ruthlessly elbowing their way up the pavements. While down there cars were spiralling around traffic jammed crossroads above my head the planes were flying away in flocks to their big world cities destinations. But I was cold as a stone and empty as a hole inside. Tired after very busy week I was counting all the money I earned but could not work out exactly what for? When suddenly I heard something different. It was a female voice and being a die hard fan of Italian opera I immediately recognized immortal aria of Amneris "Morir mi sento" from Verdi's "Aida". My imagination exploded and the miracle happened: all turmoil around me slowly recessed and as if some beacon of light from the skies I was led away by this song back home. I parked the car by my house, entered the hall and as usually checked the mailbox. That day I found in it only one album, I unwrapped it and read the title: "11 Songs". What a strange coincidence! - that was my first thought. I immediately started to listen to the album and was virtually knocked down by the same din I just barely had escaped. Taken aback by Fazioli grand piano racket I shut down the player and went for a bottle of wine. The evening came and with some hesitation I returned to the music. But this time again I heard them: like sirens tempting the Odysseus songs appeared. Some of them well known like themes from movies (from "Inception" or legendary Polish series "Polskie drogi"), others penned by Michel Petrucciani, Brad Mehldau, Dave Holland, Zbigniew Wegehaupt and Płużek himself. All played with so characteristic for Kuba all-or-nothing attitude which manifests itself not in revolutionary form but rather in emotions laid bare, throbbing as a living creature, soft, wet, unfolding its wings and ready to fly. High. Very high. By far the most interesting Polish jazz release so far in this year 2015 and very strong candidate for one of the best albums of the whole year. 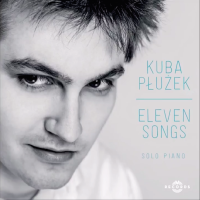 Congratulations to Kuba and Adam Domagała from V Records. With Poland proving such a welcoming venue for so many of Chicago's finest, it's no surprise to see a little quid pro quo from time to time. Reedman Mikołaj Trzaska, one of his country's most forward thinking players, has collaborated with various visiting Americans, most notably Joe McPhee and Ken Vandermark, but it is as a member of the latter's Resonance Ensemble that he may be best known. The two side long cuts on the LP "Sleepless In Chicago" each stem from a run of Resonance Ensemble concerts in the Windy City in March 2011 and August 2012, which also included space for smaller subsets of the whole unit. Completing the trio alongside Trzaska are two stalwarts of the home town scene: Michael Zerang on drums and Devin Hoff on bass. Zerang constituted one of the dual powerhouses for Peter Brötzmann's Chicago Tentet since its inception in 1997, while Hoff brought an avant rock and jazz background to the Nels Cline Singers and currently features in Vandermark's Made To Break quartet. On his husky toned alto saxophone Trzaska mixes staccato phrases and melodies with expressive textures beyond notation to forge an emotionally charged voice. Together they create an egalitarian group music founded on unbridled interaction. Named after the nightspots in which they were recorded, each piece goes through a variety of free jazz moods. "Elastic" begins with great yearning waves of sound from the Pole. Fast walking bass and a busy pulse of drum rolls and sizzling cymbals suggest an urgency, as if to make an immediate impression (and the audience noise audible in the quiet parts indicates that might indeed have been necessary). Skylark more resembles the relaxed exchanges of Trzaska's excellent "Riverloam Trio" (NoBusiness, 2012), as the saxophonist's repeated opening motif slides into a series of overblown trills, over a poised but knotty backing. At 39-minutes the program both showcases a fertile vehicle for Trzaska in the future and leaves the listener wanting more. Walc na długie lata pozostawał na cenzurowanym, postrzegany jako nośnik bluźnierczych, szatańskich treści oraz niezdrowych namiętności. W czasach, kiedy ta muzyczno-taneczna forma pozostawała rozrywką prowincji i pospólstwa, straszono, że jego obrotowa natura wywołuje u ludzi chorobę św. Walentego (daleką od romantycznych powinowactw), a w niektórych przypadkach prowadzić może nawet do śmierci tańczących nieszczęśników. Jednak, jak to w historii mód i obyczajów bywa, to, co zakazane, wywołuje największe zainteresowanie. Walc szturmem zawojował eleganckie salony europejskiej elity, z Wiedniem, stolicą dobrego smaku, na czele. Wieki później Paweł Romańczuk i jego zespół postanowili sięgnąć po tę klasyczną formę, aby oddać jej uniwersalizm. 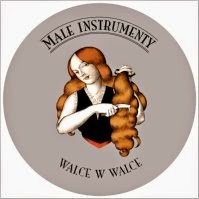 Walc okazał się na tyle chłonny, że pomieścił w sobie bogaty w dźwięki i konteksty wszechświat Małych Instrumentów. Zamknięta w metalowym puzdereczku płyta ukazała się dzięki crowdfundingowej akcji i zawiera kompozycje zrealizowane na przestrzeni ostatnich dwóch lat w ramach różnych projektów, w które muzycznie zaangażowany był Paweł Romańczuk. W pewnym sensie jest to kompilacja "walcowych" wątków, dość często pojawiających się w twórczości Małych Instrumentów, eksploatująca charakterystyczne dla zespołu wątki. Po raz kolejny mamy zatem do czynienia z elementami: bajkowości (dźwięczącej radosną tonacją instrumentów), melancholii (odwołującą się do brzmień zapomnianych), rustykalności (odnajdującą korzenny rytm i brzmienie w nowych interpretacjach) oraz awangardy (za którą stoi sentyment do muzyki konkretnej). Przy użyciu 1001 dźwiękowych drobiazgów, Małe Instrumenty ukazują wirową naturę walca przez pryzmat muzyki folkowej ("13", "Pućki"), jazzowej ("Freneza Birdo"), czy elektroakustycznej ("Wal C"). Gdyby jeszcze szerzej otworzyć muzyczną wyobraźnię, w wybranych fragmentach "13", "Macabre Walz" i "Symphonionwerke 1912" usłyszymy echa francuskiego chanson oraz barokowej artykulacji ("Rogalogowe wieczory"). Pomimo pewnej kruchości brzmienia i skromności kompozycji, utwory zespołu uderzają rozmachem instrumentacji, melodyki oraz bogactwem aranżacji i ornamentyki. Romańczuk z zespołem z pełnym namaszczeniem celebrują każdy detal, dzięki czemu głos nawet najdrobniejszego i epizodycznego instrumentu roznosi się w krystalicznie czystej przestrzeni. Mimo dużego zniuansowania kompozycji, zgromadzone dźwięki są teatralnie wręcz rozplanowane, a każdy odgłos wydaje się uzasadniony i niezastąpiony. Otwierająca album "13", w której gościnnie śpiewają Agata Harz i Katarzyna Smoluk-Moczydłowska, wokalistki Księżyca, odkrywa również nową, zaskakującą perspektywę muzyki Małych Instrumentów, która niezwykle interesująco sprawdza się jako piosenkowy akompaniament. Na szczególną uwagę na "Walcach w walce" zasługuje "Macabre Walz" - utwór dedykowany Małym Instrumentom przez Jeana-Marca Zelwera (kompozytora, kolekcjonera unikalnych instrumentów, francuskiego odpowiednika Pawła Romańczuka), będący w zamyśle impresją na temat wybuchu I Wojny Światowej. Z kolei "Freneza Birdo", walc skomponowany przez muzyka MI Tomasza Orszulaka, zaskakuje swoją jazzową artykulacją, która stała się pretekstem do zaaranżowania znakomitej kulminacji i jej kapitalnego rozładowania. Poprzedzone zagęszczeniem i spotęgowaniem dźwięków, kompozycyjne apogeum dokonuje się nie poprzez gwałtowne wyciszenie, a niespodziewaną progresję akordów. Trzecim z wyróżnionych utworów jest kompozycja Igora Strawińskiego intrygująca zjawiskową, szklaną i lekko matową barwą oraz wibrującym wybrzmieniem pochodzącego z 1914 roku dulcitonu. "Walce w walce" to kolejna w ostatnim czasie (po "Polonezach" Marcina Maseckiego) próba zmierzenia się z klasyczną formą muzyczną przez rodzimego twórcę. 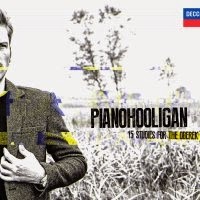 Jeśli jednak w 2013 roku warszawski pianista reanimował poloneza, jednocześnie dopuszczając się na nim solidnej dekonstrukcji, tak Małe Instrumenty umieszczają walca w różnych kontekstach, nie ingerując zbytnio w jego formę. Ich walc przemawia wieloma językami, jawiąc się jako "gatunek" niezwykle kosmopolityczny i otwarty na napełnianie go wielobarwną treścią. Solowe nagrania perkusyjne nie są, delikatnie rzecz ujmując, najpopularniejszą wśród statystycznego słuchacza formą muzyki – trudno temu zaprzeczyć, trudno się kłócić, nie warto tego kwestionować, należy się poddać, nie strzępić języka, wystarczy się z tym zgodzić, a świat wokół nas niechybnie utrzyma swoją harmonię. Oczami wyobraźni widzę sondę uliczną, prostą zabawę, z prostym pytaniem i zwięzłą odpowiedzią na temat perkusji solo. Ludzie będą mówić: perkusista pozostawiony sam sobie nie zagra chwytliwego riffu, nie zrodzi słodkiej melodii. Bębniarz nie zabłyśnie efektownym refrenem ani nie wzruszy smukłym trylem, nie zawróci nam w głowie pomrukiem struny, co najwyżej zmiecie nas z powierzchni ziemi rockową solówką w stylu Neila Pearta albo popisem wyrafinowanej techniki w stylu Maxa Roacha. Jak wiadomo, bagatelizowanie możliwości perkusistów grających solo to festiwal trwający od zawsze i wiele było już jaskółek, które wiosny nie uczyniły. Wszystkie te jaskółki i tak przelatywały głębokimi peryferiami, ich zasięg był iluzją. Z drugiej strony, gdy już wgryziemy się w gatunki muzyczne, które nie tylko melodią i hookami stoją, to przecież wizja powala na łopatki: jak rozległymi możliwościami dysponuje muzyk dzierżący w dłoniach pałeczki, trudno oszacować. 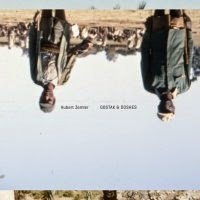 Gdy usłyszałem po raz pierwszy album "Ustensiles" Le Quana Ninha (z roku 1997), dosłownie opadły mi klapy w marynarze, golf mi się wywinął na lewo, a z uszu poszedł gęsty dym. Podejrzewałem, że wielu dźwięków, wytwarzanych przez Ninha, nie wykreowałby syntezator. Z kolei Stewart Copeland skomponował pamiętny, udany soundtrack do "Rumble Fish", z pierwszoplanową rolą perkusji. Istnieje też świat współczesnej klasyki, gdzie utwory Griseya, Xenakisa czy Feldmana pisane były specjalnie pod perkusję. Ale zostawmy tę wyliczankę, przecież do niczego nas nie zaprowadzi. Całe to zamieszanie z powodu wydanego przez Bôłt Records albumu "Gostak & Doshes". To już drugi solowy album Huberta Zemlera, prawdziwego mavericka warszawskiej sceny niezależnej, najmocniej związanego ze środowiskiem Lado ABC. Nie muszę chyba dodawać, że mamy tu perkusjonistę solo i coś z tym fantem musimy począć. W samym 2014 roku Zemler grał już klasyczny jazz z Michałem Przerwą-Tetmajerem i pop z Natalią Przybysz – ale kogo mogłaby jeszcze zdziwić ta wszechstronność? Tercja tria Sza/Za/Ze w wersji solo to jednak zupełnie inna historia. "Gostak & Doshes" jest dokonaniem kameralistycznym w pełnym tego słowa znaczeniu. Całość rozpoczyna się cierpliwie rozwijanym "Franciszkiem" i arytmiczną impresją na temat życia insektów: „Propolis”; następnie pojawiają się dwa checkpointy w postaci wariacji na temat Suaves Figures Piotra Kurka (highlighty albumu, być może za sprawą Kurkowych motywów i wibrafonu Miłosza Pękali). Walory układu tracklisty podkreśla końcówka z wyraźną puentą - szaleńczo wciskanymi klawiszami melodyki w utworze tytułowym, w którym bogactwo timbre’ów, rytmiki i pomysłów pozwala na nieco głębsze zanurzenie w architekturę muzyki. Mimo to (nawet pomimo pięknie ożywiającego atmosferę "Dji"), na "Gostak & Doshes" Zemler zbyt mocno moim zdaniem kładzie nacisk na formę, skupienie i poważny nastrój. Co przypomina mi niedawny album Pawła Szamburskiego ("panowie się chyba umówili"), dlatego też zastrzeżenia są podobnej natury. "Gostak…" rozświetla chwilę, gdy chwila trwa i koi, gdy zachodzi potrzeba, lecz nie pozostawia mocnych wspomnień, nie wiąże słuchacza emocjonalnie, nie próbuje go przekonać ani uwieść, stroni od konwencji i dźwiękowego flirtu. Więcej tu refleksyjnej obojętności Mortona Feldmana, powitań "Króla duńskiego" (zwłaszcza w pierwszej części albumu), Cage’a i jego cyklu "Constructions", niż żywiołowości i zaciekawienia dźwiękiem niczym u przywołanego wcześniej Le Quan Ninha. Gdyby jednak lekką ręką położyć na szali wymienione zalety i wady, płyta broni się jako solidna pozycja, z pomocą której moglibyśmy zdrowo zamieszać w głowach uczestnikom naszej ulicznej sondy. Ba-dum-tsss? 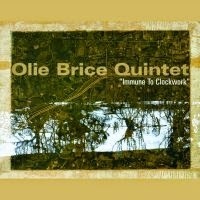 This is the debut album by a quintet led by British Jazz bassist/composer Olie Brice, which also includes saxophonist Mark Hanslip, trumpeter Alex Bonney, drummer Jeff Williams and leading Polish clarinetist Wacław Zimpel. The album presents seven original compositions, all by Brice. Brice has been active on the British (mostly London based) Improvised Music scene since a few years and is involved with several ensembles in parallel, some as a leader and others as a band member. He also cooperated with the Polish Jazz saxophonist/clarinetists/composer Mikołaj Trzaska in the past, expanding the British/Polish Improvised Music interaction, which often produces excellent results. In many respects this album sounds a bit retrograde, and I mean it in the most positive sense, bringing back fond memories of the wonderful British Jazz recordings by early Free Jazz/Improvised Music ensembles in the late 1960s. There was the same level of serenity and non-aggressiveness present than, which was almost completely lost over the years with Improvised Music musicians often trying to outshout each other rather than integrate. 2 Nights with Tomasz Stańko & Alexander Von Schlippenbach !!! Szanowni goście, minęło prawie 45 lat, kiedy po raz pierwszy spotkali się na jednej scenie. W 1970 r. na zaproszenie jednego, ten drugi jako jedyny muzyk z wschodniej Europy dołączył do legendarnej free-jazzowej Globe Unity Orchestra (Peter Brötzmann/Jaki Liebezeit/Peter Kowald/Gerd Dudek/ Anthony Braxton/Evan Parker...). Każdy poszedł własnymi ścieżkami, nigdy nie zapominając o swoich free-jazzowych korzeniach. Trudno wyrazić w słowach, jak ważne będzie to spotkanie tych dwojga muzyków. Po miesiącach przemyśleń, rozmowach i przygotowaniach, nareszcie udało zaprosić się na wspólny koncert dwie ikony muzyki improwizowanej - wielkiego trębacza i wielkiego pianistę. Obydwaj są już legendami, które istotnie wpłynęły na bieg historii muzyki jazzowej i improwizowanej. Pamiętam jak tu, na blogu Polish Jazz, podawałem jako jeden z pierwszych news o zwycięstwie Piotra Orzechowskiego w konkursie pianistycznym (są i gitarowe czy wokalne) odbywającym się co roku w Szwajcarii w ramach Montreux Jazz Festival. Festiwal ten obrósł legendą szczególnie w latach 70. i 80., gdy królował na nim Miles Davis. Jednak same konkursy są sprawą świeżą i zaczęły się dopiero w roku 1999. Przed Orzechowskim wygrywali w nim tak uzdolnieni artyści jak Dan Tepfer czy Tigran Hamasyan, ale byli też i tacy laureaci, których nazwiska nic nam dzisiaj nie mówią. Bo z konkursami jest tak, że są tylko trampoliną, w której jest skumulowana energia pozwalająca młodym muzykom wybić się z anonimowego tłumu absolwentów akademii muzycznych. Jednak czy tak się stanie zależy od samego muzyka i... od szczęścia! I teraz byłoby odpowiednim, abym oznajmił jak to bardzo szczęście pomogło Orzechowskiemu i kto wie jak by było z tą jego karierą gdyby nie uśmiech wszechpoteżnej, lecz całkowicie nieprzewidywalnej Fortuny. Lecz właśnie wszystko w karierze Orzechowskiego wydaje się przeczyć takiemu schematowi. Konkurs wygrał nieprzypadkiem, potwierdzi to każdy o koneser, który od razu usłyszy w jego grze bardzo solidne podstawy tak jeśli chodzi o czysto pianistyczny warsztat jak i osadzenie w szerokopojetej klasyce. Od początku też, co bardzo rzadkie u naszych młodych artystów, szczególnie tych wykształconych w Polsce, jego kariera jest prowadzona logicznie od strony marketingowej. Cały ten koncept Pianohooligana, budowanie marki, nosi znamiona działania przemyślanego, które pomaga łatwiej zapamiętać artystę w powodzi świetnych projektów jakie każdego dnia docierają do słuchaczy w Polsce i na całym świecie. Lecz to wszystko byłoby całkowicie nieistotne, gdyby nie rzecz najważniejsza czyli muzyka. Miałem okazję słuchać słuchać pierwszych nagrań Orzechowskiego, i był to taki typowy dla muzyków w jego wieku misz-masz, w którym można było znaleźć i kawałek Bacha, i Szostakowicza i Jarreta. Od strony koncepcji się to kupy oczywiście nie trzymało, ale zwracało uwagę bogactwem wyobraźni i indywidualnością. To plus warsztat wystarczyło by zwrócić uwagę tych, którzy się takimi sytuacjami jarają, w tym i Waszego Uniżenie. Wszakże nikt nie mógł przewidzieć, żadna wróżka, czy się ta koncepcja kiedykolwiek narodzi. Wielu megauzdolnionych muzyków się z tym brakiem koncepcji zmaga, weźmy chociażby spośród pianistów Kaczmarczyka czy nawet Maseckiego (sam o tym zresztą mówi). Tymczasem Orzechowskiemu przychodzi to z niebywałą łatwością i, co więcej, tkwi za tym jakby jakaś żelazna logika i co najważniejsze jakby plan. Bo na swój debiut wybrał muzykę Pendereckego, obaj panowie są krakowianami, przekonał Mistrza do współpracy i uzyskał jego błogosławieństwo. A samą płytę nagrał dla kultowego wydawnictwa Decca, dzięki czemu szansa na dotarcie nie tylko do polskiej publiczności nie była jedynie czczym marzeniem. Potem przyszła "Hopasa" nagrana z jednym z najbardziej uzdolnionych młodych kolektywów w Polsce (Mateusz Śliwa, Piotr Orzechowski, Alan Wykpisz, Patryk Dobosz), która przyniosła granie inspirowane hard bopem i wieloma jeszcze innymi wpływami, kórego wspólnym mianownikiem była zapierająca dech w piersiach swoboda, energia i taneczność. Płyta słusznie wprawiłą w ekstazę krytyków (mnie trochę mniej niż innych), a była wyczekiwana tym bardziej, że przed jej wydaniem High Definition Quartet było bohaterem małego skandalu, gdy w roku 2011 na festiwalu Jazz Juniors dostało zaledwie trzecią nagrodę za takimi kolektywami jak PeGaPoFo czy trio Piasecki-Rak-Wendt (które o ile się orientuję nie wydały dotąd żadnej płyty i o których nawet najwięksi znawcy nie są w stanie dzisiaj powiedzieć czegokolwiek czy to złego czy dobrego). Po "Hopasie" przyszedł czas na powrót do Decca, do grania solo i znów do polskich muzycznych korzeni. Tym razem nie klasyka (acz taka bardziej nowoczesna), lecz polska muzyka ludowa, która w ostatnich latach przeżywa wielki renesans zainteresowania. Orzechowski na warsztat wziął oberki i tak je pozawijał, poskręcał, porozkręcał, krótko mówiąc zdekonstruował, że jest to po prostu nie do uwierzenia, zwłaszcza że przy tych wszystkich przekształceniach zachowana została zarówno tożsamość muzycznej formy, rozpoznawalna cały czas, jak i własny, specyficzny dla Orzechowskiego sposób opowiadania muzycznych historii. Prawdopodobnie najlepsza do tej pory płyta tego muzyka w jego krótkiej karierze, potwierdzająca całkowicie jego klasę jak i to, że w jego rozwoju wszystko przebiega z niebłaganą, wprawiającą w zdumienie, konsekwencją. Brawo! This is the fourth album by Polish Progressive Rock/Jazz-Rock Fusion ensemble Light Coorporation, led by guitarist/composer Mariusz Sobański. The album was recorded by a septet, which also includes saxophonist Pawel Rogoża, trumpeter Kuba Jankowiak, pianist Witold Oleszak, bassists Piotr Oses (acoustic) and Krzysztof Waśkiewicz (electric) and drummer Miłosz Krauz. It includes eight original compositions, all by Sobański, which are accompanied by eight poems also written by him, printed in the album's booklet, which remain as unsung lyrics accompanying the music. The music was recorded live in the studio, but the sound quality and dynamics are excellent. For the fourth time in a row Sobański and his ensemble manage to surprise me completely, which happens extremely rarely with other artists. 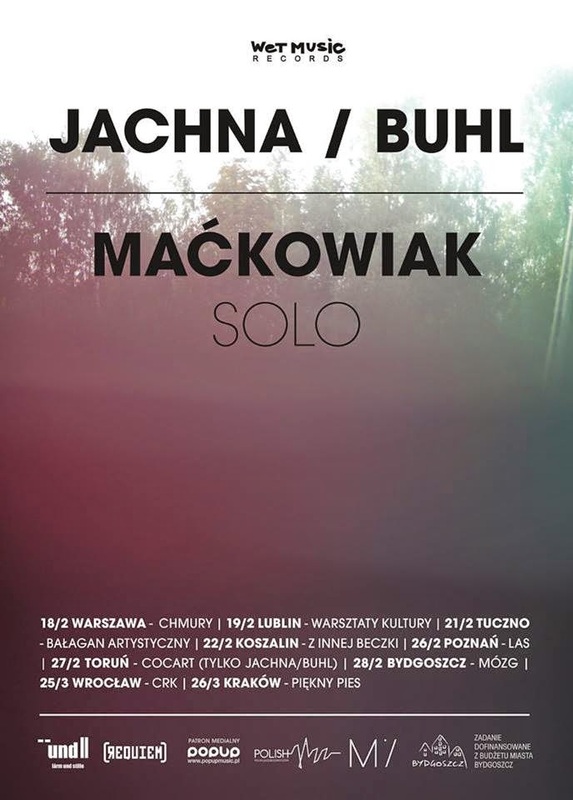 The chameleonic ability to constantly change the lineup and the music, but at the same time create some of the most fascinating music on the Polish scene, which is exploding with talent and extremely competitive, is truly astounding. This album is definitely the most jazzy and most open of the ensemble's releases so far, and brings fond memories of some of the Frank Zappa ambitious projects, which incorporated Rock, Jazz and contemporary Classical idioms, but also the work of some early British Jazz-Rock pioneers like Rock Workshop. The "dirty" guitar tone and the superb brass solos, backed by a funky rhythm section are simply delightful and completely unique. There is no other group, neither in Poland nor anywhere else on this planet, which plays anything remotely similar. There are also new elements, which appear here for the first time, such as the Improvised Music approach the ensemble clearly demonstrates, and of course the element of freedom in the improvisations, which are often quite bold and clearly reach beyond the boundaries of Prog, which initially defined the group's orientation. Over time Light Coorporation managed to evade and steer clear of all attempts to get neatly categorized, which is one of their major fortes. The last track on the album, which lasts over seventeen minutes, is a modern symphonic poem, of rare beauty and intensity, which simply de facto defines the music. Listening to this album is like a rollercoaster ride, which themes, rhythms, intensities, crescendos and silences chasing each other constantly. The music takes the listener by the throat and does not let go well until the last echoes of the music are all gone; a completely unique experience, which happens only once in a blue moon. I have no idea why Light Coorporation gets such a limited feedback in Poland, but the fact that the prestigious British ReR label releases their album for the fourth consecutive time is a symbol of distinction and appreciation. Hopefully they will be able to get more recognition back at home, as they truly deserve. This is definitely one of the best and most interesting Polish albums of 2014, and another great accomplishment by Sobański and his cohorts. 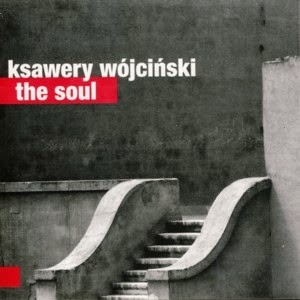 This is the debut solo album by the Polish Jazz bassist/composer Ksawery Wojcinski, best known for his work on the vibrant Polish avant-garde scene and his role in the Hera ensemble, led by Waclaw Zimpel. 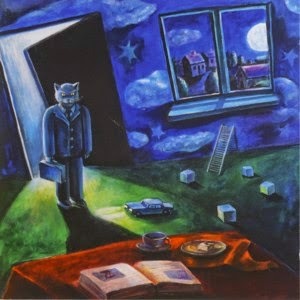 On this album Wojcinski plays bass, piano, guitar, drums and sings. The album comprises of thirteen tunes, eleven of which were composed by Wojcinski, one was co-composed by him and the sound engineer Michal Kupicz and the remaining one is a traditional song. As much as I like musical experimentation and unconventional excursions, the music on this album leaves me completely cold. Although the album's liner notes speak about a dialogue between the musician and the listener, personally I hear just a bunch of self indulgent ditties, which lack any consistence, don't convey any musical message and make no aesthetic sense whatsoever. There is no doubt that Wojcinski is an excellent bassist, which he had plenty of opportunities to prove, and a sensitive musician. Somehow this music simply does not make any sense to me nor is it satisfactory on any of the planes I relate to music, like melody, harmony, improvisation, compositional depth and virtuosic performances. None of the above is present here as far as I am concerned. Of course solo albums are particularly difficult and perhaps Wojcinski is simply not ready yet to take such a heroic plunge? Or perhaps it is only me not getting it? I have no idea, but this is not something I'll consider listening to again in the foreseeable future. This is the debut album by a trio comprised of Polish Jazz trumpeter Tomasz Dąbrowski with American (Canadian born) female pianist Kris Davis and drummer Andrew Drury. All three are considered as some of the most gifted young generation Jazz performers/composers today. The album includes fourteen relatively short pieces, eight of which are co-credited to the entire trio; five are composed by Dąbrowski and one by Drury. The music is mostly entirely freely improvised, devoid of any melodic or harmonic structure and tends to develop almost accidentally, sometimes at a painfully slow paste. Not all three musicians play along at all times, which results in solo, duo and trio passages being played interchangeably. Dąbrowski's playing, which dominates these proceedings, tends occasionally to produce melodic lines, especially in the tunes he is credited for as composer, but those moments are definitely less frequent. Improvised Music's most important quality is the level of cooperation, interplay and telepathic understanding between the participants, which in my opinion this album sadly lacks most of the time. I have been following Dąbrowski's career and his recordings for several years and it seems to me that he is not entirely comfortable musically in this setting. He is after all a melodic player, even when he allows a lot freedom and space in his performances, and a completely free/improvised environment is limiting is abilities. This is the reason why he sounds absolutely best when the plays melodic themes, which are the true pinnacle of this session. During the freely improvised accidental passages the trio sounds disjoined and aesthetically barren. 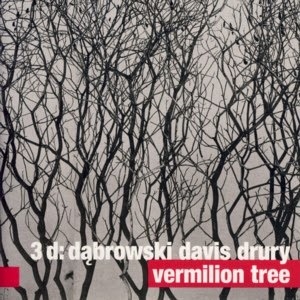 As much as I love Free Jazz/Improvised Music, this album somehow leaves me mostly cold, in spite of my continuous support for Dąbrowski's efforts. His other recordings flirting with improvised music were all superb, so perhaps it's a result of his partners on this particular session, or juts a matter of circumstance. After all, this particular album is just one of many recordings by Dąbrowski, most of which are absolutely splendid efforts, and many others will surely follow, so I'll let bygones be bygones. 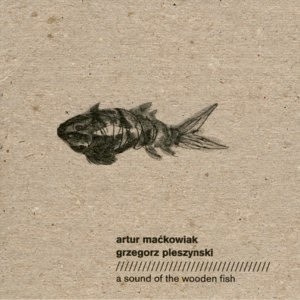 Polish avant-garde guitarist/composer Artur Maćkowiak and multimedia artists Grzegorz Pleszynski are associated with the Bydgoszcz based Nowa Sztuka Wet Music Foundation (Maćkowiak is one of the founders). The Foundation also operates the Wet Music Records, which released several separate and collective recordings by these two artists earlier on. The music was recorded during one "live in the studio" session, with the participation of clarinetist Jerzy Mazzoll, who is featured only on the first part of the album, which comprises of three parts edited out of the entire session. The music is a flow of electronic/ambient sounds, guitar phrases and chords, plastic tube trumpet blowing, human voice reverberations and other weird noises, with Mazzoll's clarinet mixed in (sadly only in the first part), which normally wouldn't make any sense whatsoever, but here somehow being able to overcome the chaos and anarchy and come together as a flow, which is best received subconsciously, simply by allowing oneself to get emerged in the music (sound?) without trying to analyze it. The problem with this music, however, emerges in time as there is little if any development on the time scale and the repetition becomes trying in a long range. Therefore when Mazzoll is gone, the rest of the album offers more of the same (or rather less of the same), causing even a trained and patient listener like myself to wander what (or where) is the point in all this? Avant-garde has a tendency to create self-indulging works, which lose the audience at one point or another. It is extremely difficult to be outrageously innovative and communicative at the same time, and this album fills that purpose only in part. But it definitely has its moments and is worth investigating by the brave-hearted listeners. That said, the will of the artists involved to pursue they own visions and dreams is extremely important and they deserve our respect for doing just that, taking the road less travelled. This DVD is another reminder of the fact that Polish Avant-Garde is alive and kicking and from time to time also takes a look back at its fascinating roots. The legendary figure of Andrzej Mitan, which re-appears in the limelight from time to time, mostly completely unexpectedly, is always full of surprises. This time Mitan produces a multi-media project combining music and cinematography (or video-art), resulting in this debut release on a new Polish label called Trzecia Fala, headed by a young Art enthusiast Łukasz Strzelczyk. Back in the mid-1980s, when Poland was in its most depressing period, both politically and culturally, Polish Avant-Garde was enjoying a renaissance of sorts, taking advantage of the state of confusion that the Socialistic Regime was in due to the eminent collapse of the system already clearly apparent and as a result with a laxer censorship in place. 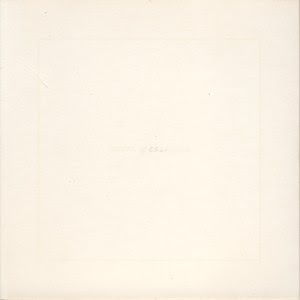 Andrzej Mitan, who always believed in doing things rather than talking about them, released in 1984 a series of very bold musical statements by avant-garde musicians as five independently pressed LPs under the Alma Art moniker, which also presented outrageous and innovative packaging designed by avant-garde artists, including for example a barb-wired LP sleeve. Those five albums have become record collector's Holy Grail due to the fact that only 1000 copies of each album were pressed, reaching today astronomical prices on the collector's market. In 1987 four more albums appeared in a similar effort. This DVD uses part of the first of these legendary album as the musical layer, combining it with a video-art by Polish experimental artists Grzegorz Rogala, who utilizes a technique called time stretching, which in this case takes a 3 seconds long fragment of video and stretches it to last for about seven minutes, which produces an almost still like picture with barely visible change. The combination of the tension induced by the video and the dramatic musical background produce together a powerful statement, which is also quite unique. The music, which was recorded during the 1983 Jazz Jamboree in Warsaw (organized shortly after the Martial Law in Poland was lifted and obviously symbolizing an eruption of liberty), is performed by many Polish Avant-Garde legends, like bassist/leader Helmut Nadolski, vocalist Andrzej Mitan, pianist Andrzej Bieżan (who died shortly after the recording), trumpeter Andrzej Przybielski and others, appearing under the moniker of Jubileuszowa Orkiestra Helmuta Nadolskiego. 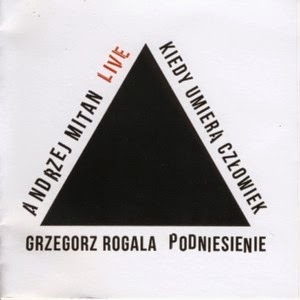 In retrospect it becomes clearly evident that these nine albums released by Mitan in the 1980s are extremely important documents of Polish Jazz and Polish Avant-Garde and absolutely have to be made available again, the sooner the better. Considering the fact that this DVD was also released as a numbered limited edition of 100 copies, it is by now as impossible to get as those legendary albums. 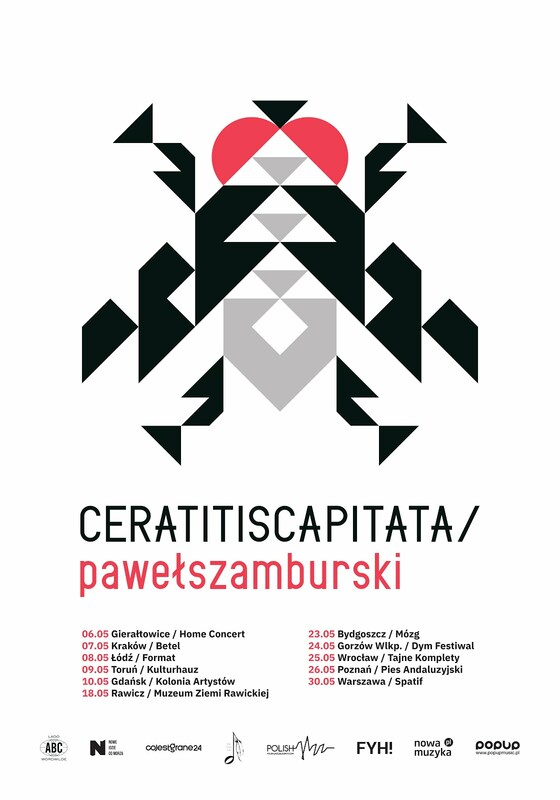 Serdecznie zapraszamy na koncerty w ramach wspólnej trasy duetu Jachna/Buhl i Artura Maćkowiaka. Przesympatyczny duet muzyczny załozony przez Wojtka Jachnę oraz Jacka Buhla, muzyków Contemporary Noise Sextet, Sing Sing Penelope oraz Innercity Ensemble( Wojtek) oraz Variete, Trytony, 4Syfon Cykliści( Jacek).Dialogi, improwizacje, loopy, przekomarzanie i inne wygibasy.Czwarta płyta została nagrana na Strychu Biblioteki Miejskiej w Bydgoszczy przez Kubę Ziołka, na 4-śladowego Tascama. Mała ilość ścieżek określiła kierunek nagrań, który można określić jako akustyczny.Kierunek muzyki duetu jak zwykle jest trudny do zdefiniowania i wprowadza w konsternację największych koneserów muzyki. Tą muzyke albo się lubi, albo nie, i to chyba największy truizm jaki można w tym miejscu powiedzieć. Płyta pod tajemniczym tytułem „ATROPINA” wyszła właśnie we wrześniu 2014 r. nakładem Requiem Records. Artur Maćkowiak - muzyk, performer. Grywa solo, w Innercity Ensemble oraz w przeróżnych efemerycznych projektach muzycznych. Kiedyś współtworzył zespół Something Like Elvis i Potty Umbrella. Porusza się w obszarach szeroko pojętej muzyki gitarowej, okraszonej dużą dawką eksperymentu, elektroniki, ambientu, improwizacji, ale z dość charakterystyczną nutą słowiańskiej melodyki. Ma na swoim koncie dwie płyty solowe: “Take away” (2012), “Before the angels play their trumpets” (2013). W 2014 r. wydał dwie bardzo dobrze przyjętę płyty: z Innercity Ensemble “II” oraz Maćkowiak, Pleszyński “A sound of the wooden fish”. W lutym 2015 ukaże się nowa, już trzecia, solowa płyta Artura Maćkowiaka “If it’s not real”. Na niej więcej elektroniki, więcej noisu, więcej psychodelii. This is the second installment in a new series of archival releases/reissues, initiated and piloted by Łukasz Strzelczyk under the Trzecia Fala moniker. The purpose of this series is to expose, showcase and most importantly document for posterity the early Polish avant-garde music movement, which rests almost completely buried by the tides of time, mostly forgotten and criminally neglected. The fact that this music was created at all is a miracle, considering the circumstances surrounding its birth. The Socialist Regime was naturally quite suspicious and often outright offensive towards "antisocial elements", as artists not following the regime directives were often referred to. The importance of having this music available is a momentous achievement and a vital effort to preserve the Polish cultural heritage, which unfortunately suffers from chronic neglect. Therefore it is encouraging to see that the Polish Ministry of Culture and National Heritage supports this wonderful effort. The albums in this series are pressed in very limited volumes, so an immediate purchase is highly recommended. This album presents, for the first time on record (as hard as it is to believe), music recorded by the pioneering ensemble Grupa W Składzie, which was active in the early 1970s and most recently reactivated in 2012. Over time the accidental/fortuitous lineups of the group included a long list of participants. 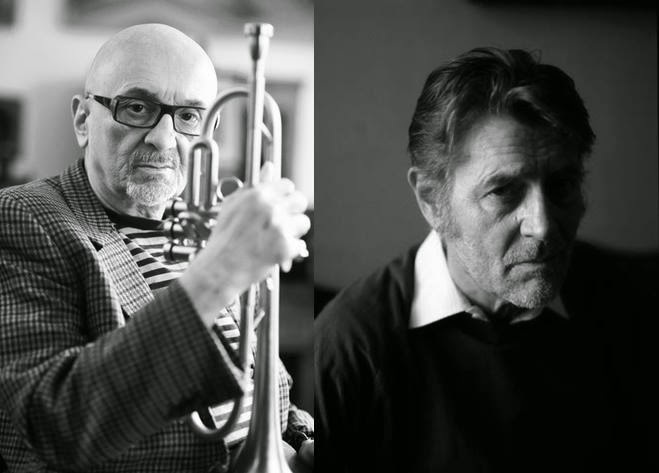 The founding members: vocalist/multi-instrumentalist Milo Kurtis, saxophonist/flautist Andrzej Kasprzyk and guitarist/painter/photographer Jacek Malicki, were later supplemented by some of Poland's legendary Jazz musicians, such as pianist Andrzej Bieżan, bassist Helmut Nadolski, trumpeter Andrzej Przybielski, drummer Władysław Jagiełło and many others. The wonderfully researched booklet accompanying this album presents the history of the group, which of course has missing parts due to some facts being lost in the mist of oblivion over time (unfortunately the text is in Polish and has only a brief synopsis in English). The interconnections between avant-garde music and other Art Forms, which are of course inseparable, are also well reflected in the text. There are also many wonderful photographs and a plethora of biographical information, which constitutes a first-class document of great importance. The salvaged music, which consists of six tracks, presents mostly recordings from the 1970s, with one exception (on the last track) which was recorded by a reunion lineup of the group in 2012. The recording dates and exact personnel are all rather vague, but the music certainly makes a point on its own right, showing the early/pioneering efforts by Polish avant-garde/improvised music scene, which will reach its first artistic peak about a decade later (by the mid 1980s). Stylistically the music utilizes many of the devices characterizing early avant-garde, such as sound collages, accidental noise, usage of sound producing objects and novel approach to vocal techniques. The intuitive expression seems to be a guiding force, which of course can be associated with the need to transfer the lack of freedom of speech into a freedom of nonverbal expression, a transference often used by Artists operating under oppressive regimes. In retrospect the boldness and far-reaching artistic vision of the people involved with creating this music is truly astounding. Considering the relative isolation of the Polish scene from developments taking place across the Iron Curtain, its achievements are in every respect equally revolutionary and daring. There is no doubt that the currently flourishing Polish avant-garde scene, which is obviously a leading contender on a world scale, has its roots in these underground acts of wonderful "madness", performed decades earlier by these pioneers. For serious fans of Polish Culture this album is an iconic event, closing one of the many gaps still existing in the beautiful tapestry, which is Polish Music. Hopefully many such events will follow in the future! "Immune To Clockwork" to pierwsza płyta brytyjskiego kontrabasisty Oliego Brice’a w roli lidera zespołu. Nie jest to jednak pierwsze spotkanie tego znakomitego muzyka z polskimi instrumentalistami, z czego czytelnicy bloga zapewne doskonale zdają sobie sprawę. Na wszelki wypadek przypomnę jednak o Riverloam Trio, zespole łączącym tradycję muzyki chasydzkiej z europejskim free jazzem, w którego skład, oprócz perkusisty Marka Sandersa, wchodzi Mikołaj Trzaska. Nie będę się jednak rozpisywać na temat wspólnych wydawnictw Trzaski z Brice’em i Sandersem, choć jest to temat nęcący. Powodem jest fakt, że na potrzeby "Immune To Clockwork" Olie Brice zaprzągł do wspólnego grania klarnecistę Wacława Zimpla. Artystę, którego album ze składem To Tu Orchestra zajął drugie miejsce w rankingu Polish Jazz na najlepszą jazzową płytę 2014 roku. Co ważne - docenianego także przez inne środowiska, w tym te zainteresowane szeroko pojętą muzyką alternatywną czy eksperymentalną. Zimpel, podobnie jak to było w przypadku albumu saksofonisty Keefe’a Jacksona "A Round Goal", musiał się tym razem zadowolić rolą sidemana. I wywiązał się z niej bardzo dobrze. Duża w tym zasługa lidera, czyli Oliego Brice’a, który dał muzykom występującym na "Immune To Clockwork" szerokie pole do popisu, jednocześnie umiejętnie tonując zbyt śmiałe zapędy do wolnej improwizacji. Rozbudowana sekcja dęta (oprócz Wacława Zimpla na płycie usłyszymy saksofonistę Marka Hanslipa oraz trębacza Alexa Bonney’a), w zderzeniu z sekcją rytmiczną (Olie Brice - kontrabas, Jeff Williams - perkusja) nie tylko znakomicie się uzupełnia, ale też prowadzi do nawiązywania interesujących dialogów czy wyłaniania się naturalnych, solowych partii. W efekcie zapamiętywalne zarysy melodii korespondują z kreatywnym podejściem do improwizacji, a sam Brice stara się nadać całości frapującą formułę. "Immune To Clockwork" potwierdza wysoką klasę kwintetu i każdego muzyka z osobna. Udowadnia jednocześnie, że grając w sposób otwarty, można zachować komunikatywność przekazu. Miejmy nadzieję, że kwintet Oliego da nam jeszcze wiele powodów do radości, w tym także tych koncertowych.